You Gotta Dig Those Ruins! 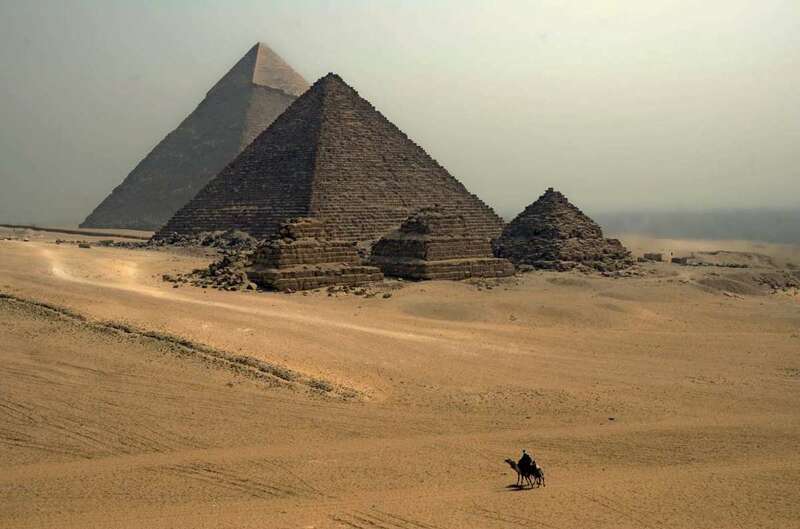 The list of the Seven Wonders of the Ancient World has been around for a long time, but only one of these wonders is still vertical - the Great Pyramid in Egypt. Therefore, you won't find the Temple of Artemis at Ephesus on this compilation, because it's little more than rubble strewn on the ground, which isn't very impressive! 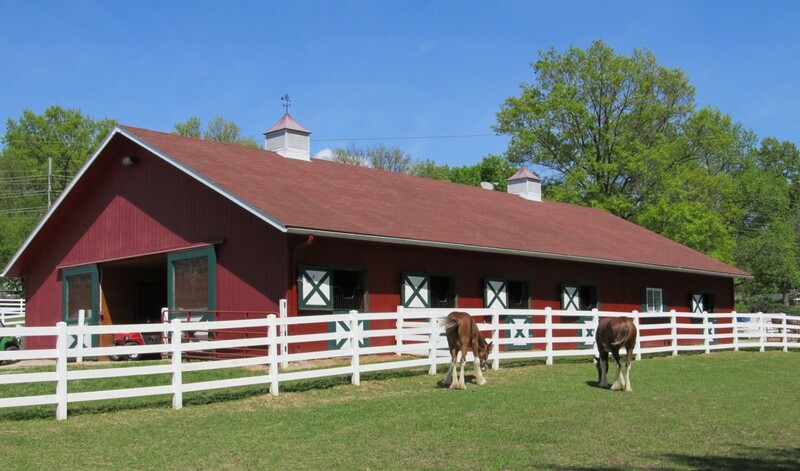 Moreover, each site on this list can include more than just the well-known monuments, temples or citadels; the surrounding area or complex can be just as important to archaeologists and laypeople. Pyramids can be found all over the world, but the only true pyramids can be found in Egypt. The Pyramids of Giza, the largest found in Egypt, were constructed about 4,500 years ago during the Fourth Dynasty of the Old Kingdom. 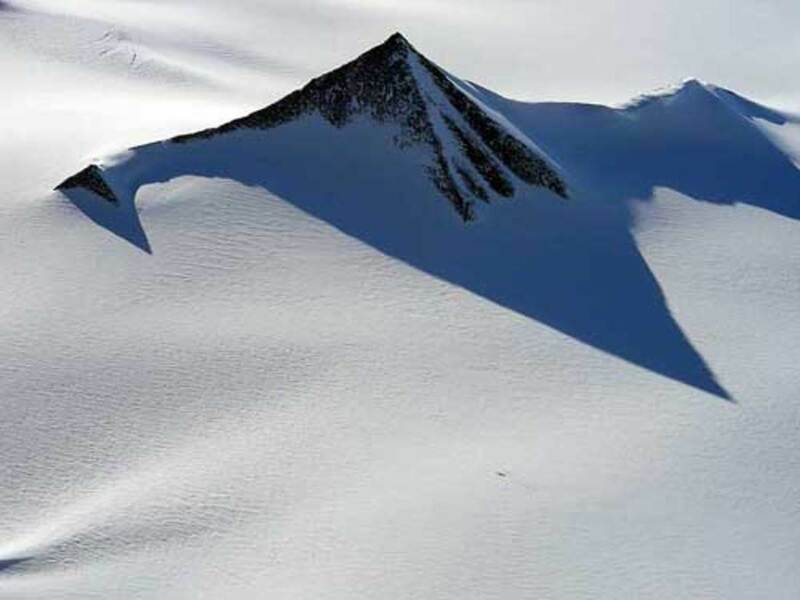 Scientists are still trying to figure out how these three monuments were built. Many think external ramps and cranes were used, which seems the most scientific way possible. 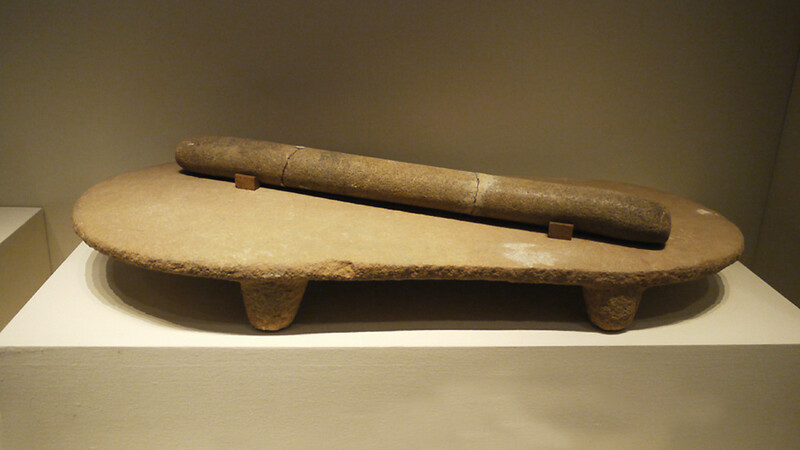 In an article of the May/June 2007 issue of Archaeology magazine, the author theorizes that an external ramp was used for the lower third of the pyramids, and then this ramp was re-used in an “internal ramp” designed to erect the higher levels of the structures. Interestingly, a microgravimetry survey of the Great Pyramid of Khufu, the highest of the three, showed less dense areas in the upper reaches of the pyramid. According to an article in the July/August 2009 issue of Archaeology, a noticeable niche in the upper northeast face of Khufu’s pyramid may provide an entry into this hypothetical internal ramp. 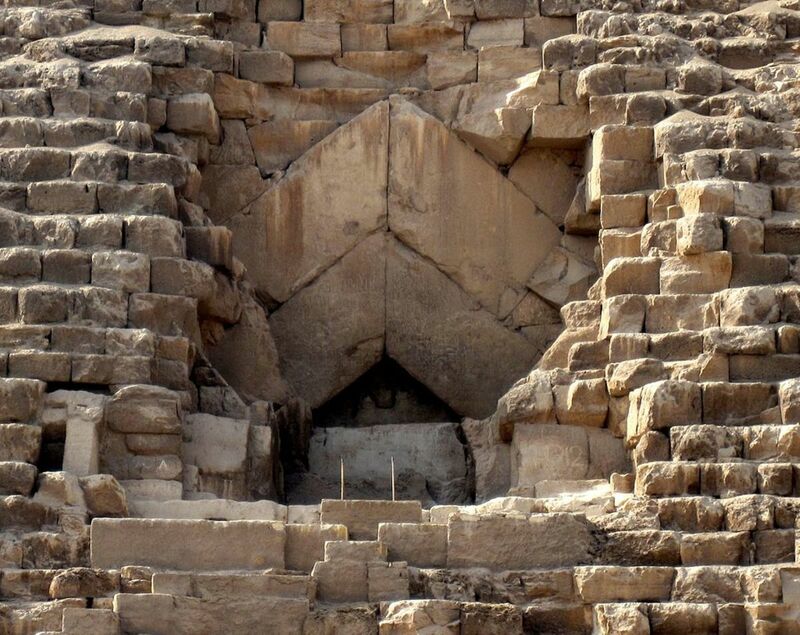 Regarding this noticeable niche, on an installment of Secrets of the Dead entitled “Scanning the Pyramids,” shown on PBS in January 2018, scientists using 3D technologies and muon detectors discovered a void inside the niche on the northeast face of the Great Pyramid. This void could be as long and wide as the Grand Gallery, which is connected to the King’s Chamber lower in the pyramid. In the future, tiny robots may be used to explore this void and any others that may be discovered. 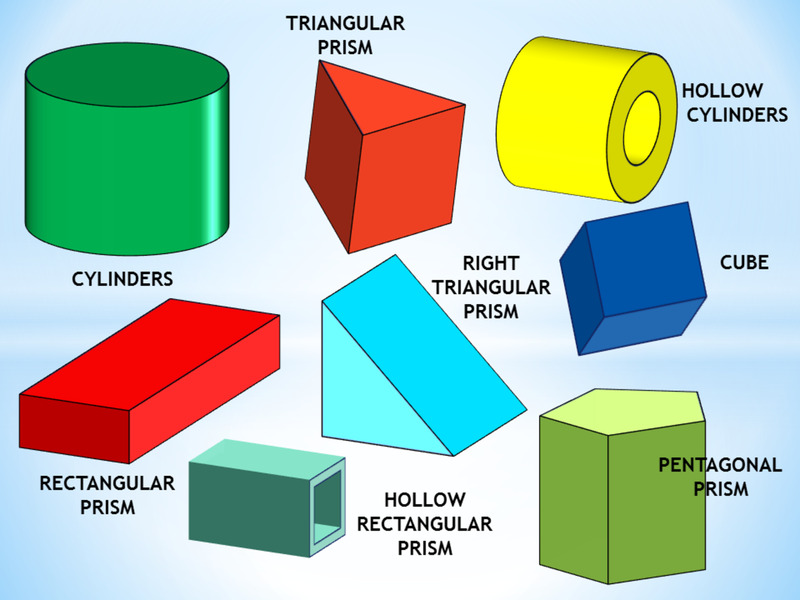 However the Pyramids of Giza were built, they are perhaps the most enduring monuments ever constructed by humankind! 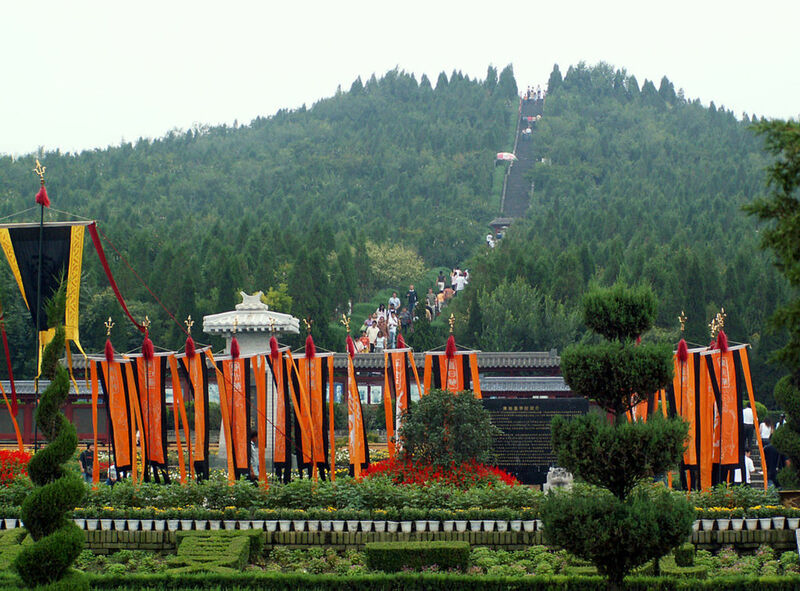 The Tomb of Qin Shi Huangdi lies about 30 kilometers from modern Xian in China. The tomb contains the remains of China’s first emperor, a ruthless autocrat who died in 210 B.C.E. The pyramid-shaped tumulus over the burial chamber rises to a height of 165 feet and a circumference of nearly one mile (originally it was nearly 400 feet high). The mausoleum is thought to contain a scale model of the capital city, including rivers of mercury, and a planetarium with constellations made of pearls. Stonehenge is as old as the Pyramids of Egypt and perhaps just as enigmatic. Nobody knows for sure how or why it was built. 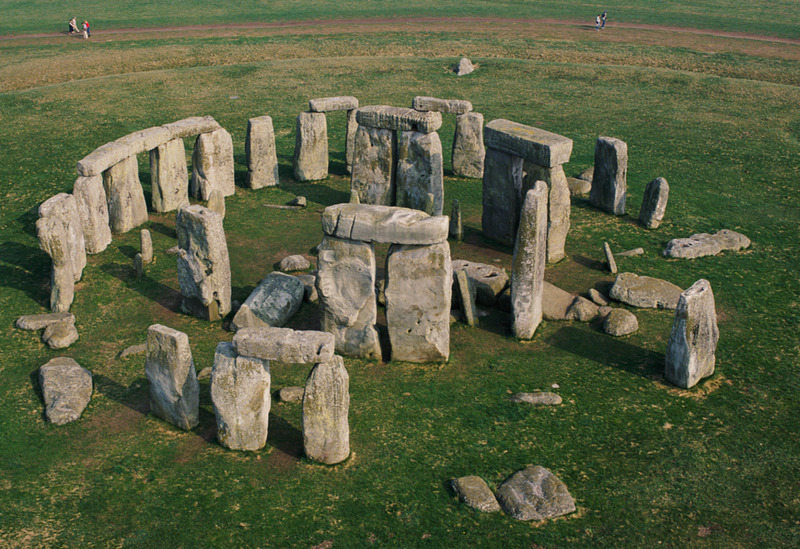 One of many so-called “henges” found throughout the United Kingdom, current theory posits that Stonehenge could have been a ceremonial center linked to others in the region, particularly the nearby Woodhenge. (See the June 2008 issue of National Geographic.) For many years scientists have theorized that Stonehenge was an astronomical observatory or calendar, because of stone alignments with the winter and summer solstices. It also could have been a burial ground, as human bones have been found in the area. Some experts think these could be the remains of sacrificial victims. And, according to an article in the October 2008 issue of Smithsonian magazine, some archaeologists think the megaliths at the monument, particularly the so-called bluestones, could have been used for healing purposes. At any rate, it’s truly astonishing to realize that Neolithic people (perhaps the Druids) had the technical skills for moving megaliths weighing as much as 50 tons from as far away as the Preseli Mountains in Wales, some 250 miles from Stonehenge! 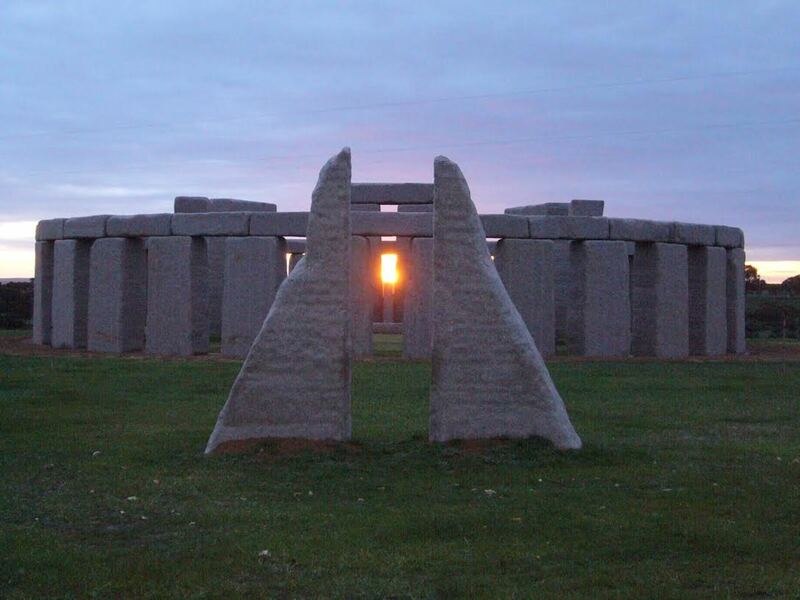 One thing about Stonehenge remains certain - it will continue to amaze for years to come. 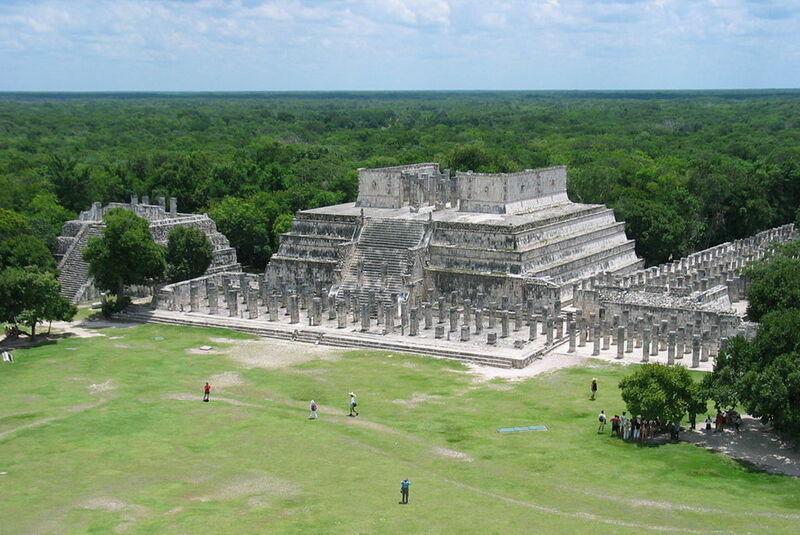 Chichén Itzá was a city and ceremonial center strategically located in the heart of the northern Yucatan peninsula. The Maya built this ancient metropolis about 600 C.E. and then about 987 C.E. 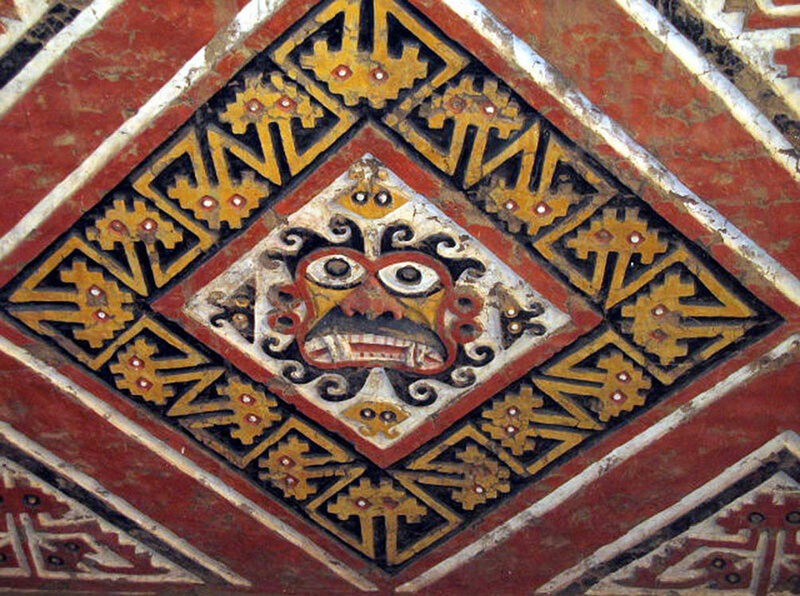 the rulers of Teotihuacán took control of it for a time. The city flourished until 1221 when a revolt and civil war broke out. 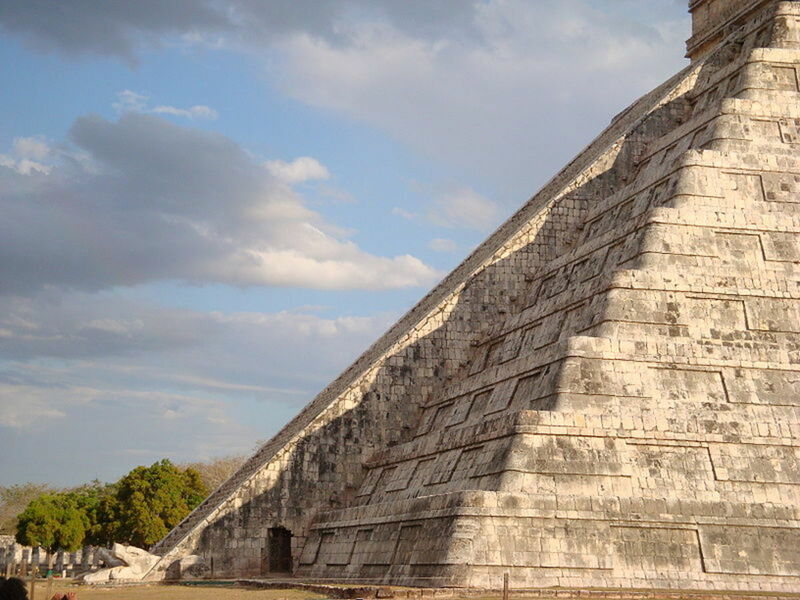 Perhaps the most prominent edifice of the city is El Castillo (the Castle) or Temple of Kukulkan, a multi-tiered pyramid whose steps cast the shadow of a moving serpent at the spring and fall equinoxes. Also found in the area are the Temple of the Jaguars, the Temple of the Warriors, the Temple of the Wall Panels, the Caracol (observatory temple), the Sacred Cenoté and others. 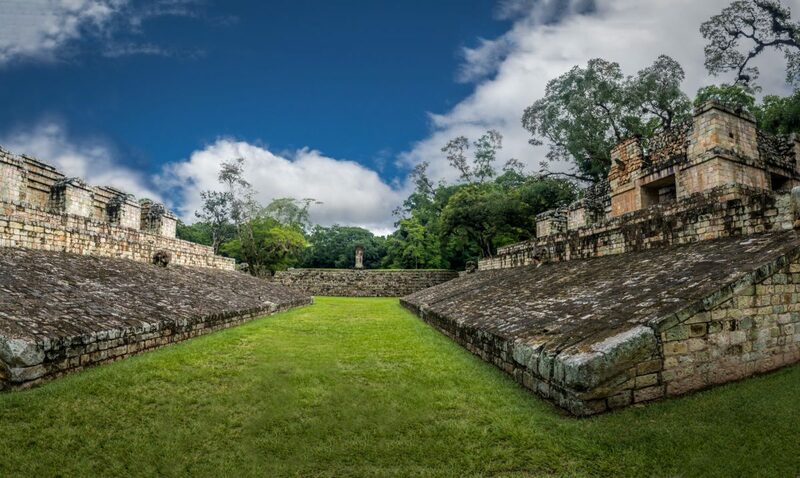 There are many impressive Mayan sites, of course – Uxmal, Caracol, El Mirador, Copán and Palenque, just to name some – but Chichén Itzá is perhaps the most magnificent of them all. What’s your choice? The Moche culture flourished along the northern coast of Peru from 100 to 700 C.E. The Moche built an elaborate system of canals, as well as many adobe temples or huacas, as they are called there, particularly the Huaca del Sol and the Huaca de la Luna (or pyramids of the sun and the moon, respectively.) Excavated since the 1990s, various impressive Moche ruins have been heavily damaged by looters, first by the Spanish conquistadors looking for gold and other riches, and later by local tomb robbers in search of valuable artifacts which can be sold on the black market. The Moche, like many other ancient Peruvian civilizations, were a warlike people who engaged in human sacrifice and ritualized executions. Interestingly, the Moche suffered from extreme weather conditions around 500 C.E. – 30 years of heavy rain, followed by 30 years of drought, an El Niño event of great proportions, indeed! 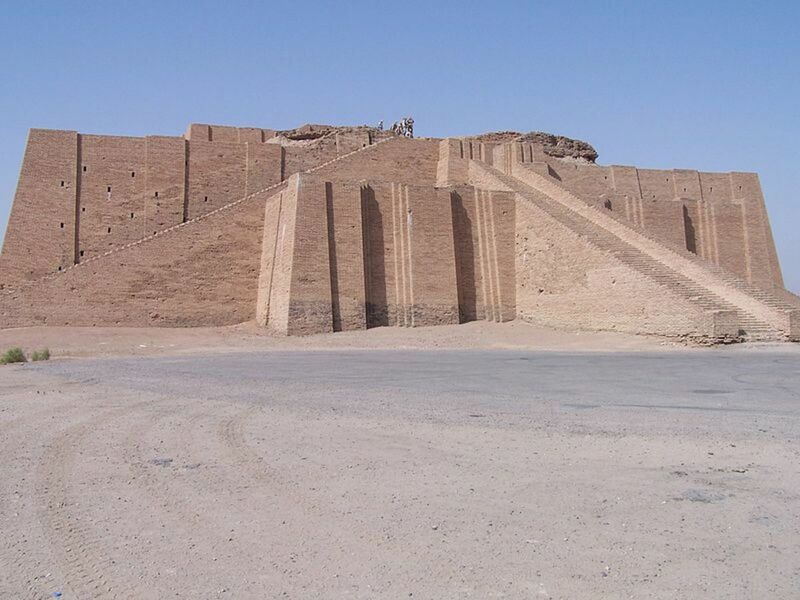 Dedicated to the Nanna, the Moon-God, this temple was rebuilt by many kings, the last of whom Nabonidus of Babylon, whom the invading Persians wrested from power in 539 B.C.E. 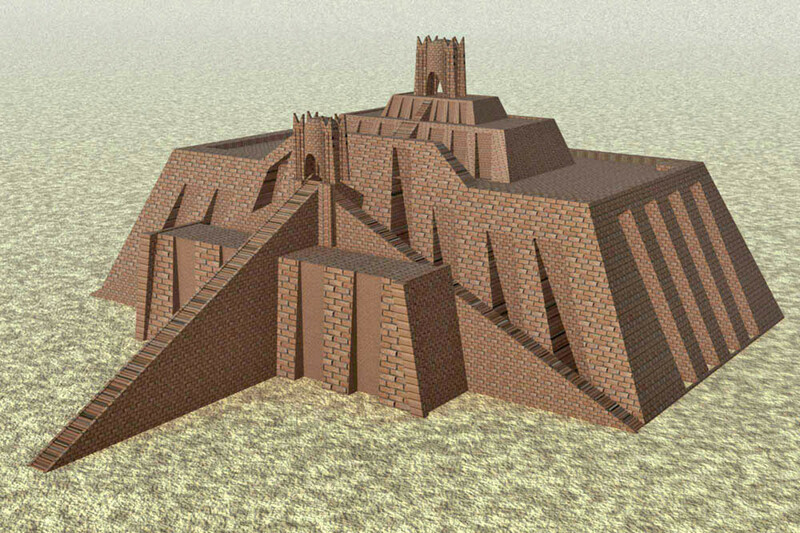 The ziggurat, in general, represented the religious nexus of the Mesopotamian cultures of the ancient Middle East, providing a platform, if you will, from which a man or woman could interact with the gods and perhaps receive a favor or two in the process. Petra, the so-called rose-red city was built by the Nabataeans about the time of the birth of Christ. Carved from the native red sandstone, the city is a marvel of the ancient world, particularly when one realizes that it was built in the inhospitable Jordanian desert. In fact, without the construction of numerous cisterns, the city would have been impossible to maintain. 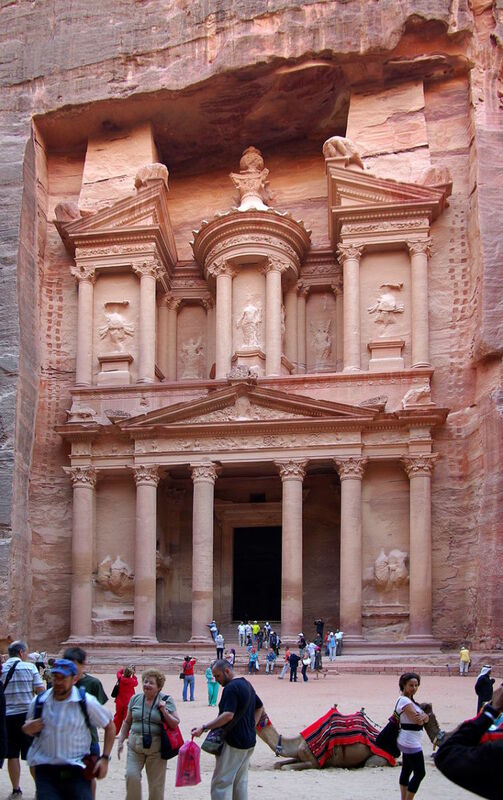 Perhaps the most arresting portion of the site is the so-called Treasury of Pharaoh at the main entrance to Petra. (This entrance was used in a scene for the movie Indiana Jones and the Last Crusade.) The portal to this entrance seems to beckon one into a mysterious, perhaps dangerous world, into which one should think twice before entering! Another amazing area of Petra is the royal tombs, also carved into a cliff face, the architecture of which is an equivalent of seventeenth-century baroque. Interestingly, the Romans were the last “civilized” people to occupy Petra. 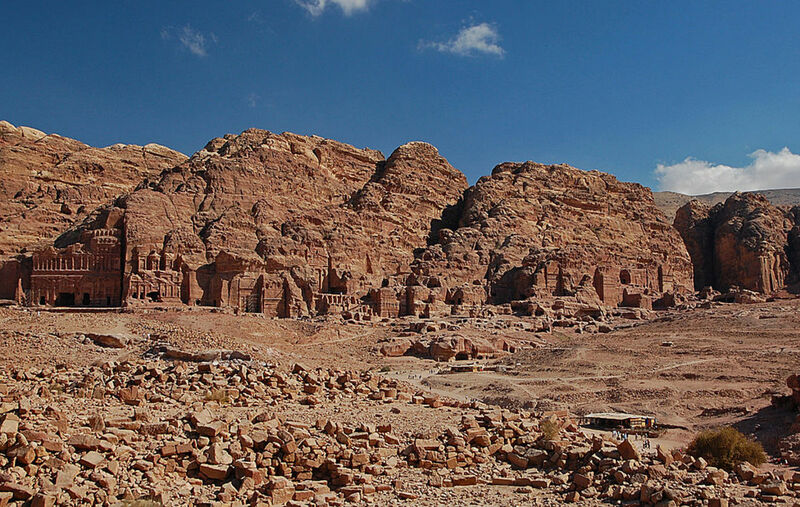 Once the spice trade, which traveled through the area, became diverted by maritime routes, Petra was slowly abandoned to the shepherds and, of course, eventually, the tourists. If you’re planning on being one of those tourists, you better hurry. An article in the July/August 2009 issue of Archaeology says that water is destroying the monuments by carrying salt to them (salt is very destructive to monuments) and also leeching minerals from the rock used in their construction. Also, local developers, hoping to make profits from the site, have damaged many of the buildings during the construction of septic tanks, roads and hotels. Perhaps the finest archaeological ruin in what is now the United States, Cliff Palace was built by the Anasazi, a tribe of pueblo Indians, about 900 years ago and then abandoned some one and a half to two centuries later, probably as the result of a lengthy drought in the American Southwest. 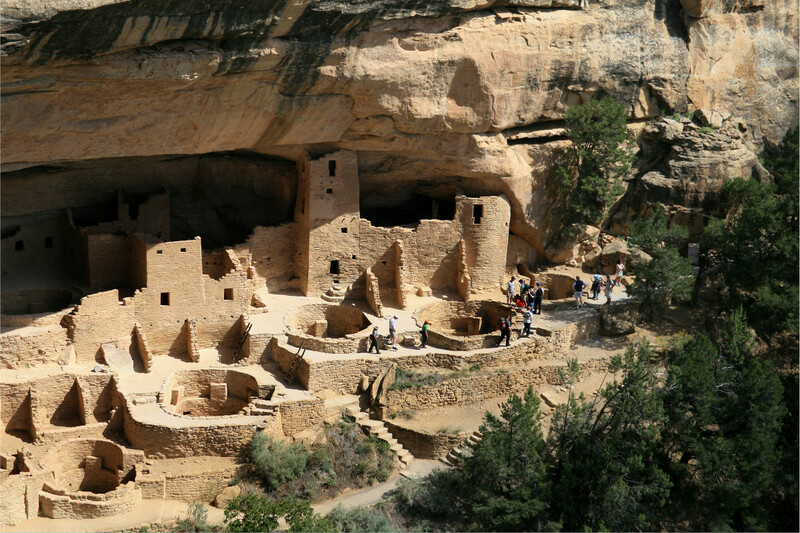 The ruin, located in Mesa Verde National Park near the Four Corners region in the state of Colorado, holds over 150 rooms and 23 kivas (round sunken ceremonial areas). 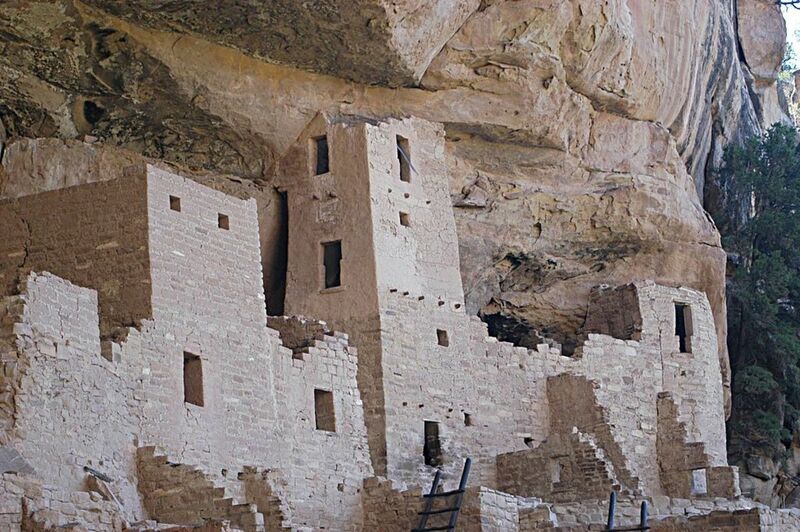 This cliff dwelling was essentially an apartment building, though some archaeologists think it was a center place for all residents of the Mesa Verde region. (As a sidebar, due to the discovery of human bones with telltale markings at certain other sites, some scientists think the Anasazi may have practiced a form of ritualized cannibalism. See the January/February 1994 issue of Archaeology magazine). In the late 1800s and early 1900s, Cliff Palace was heavily damaged by looters, curiosity seeks and even so-called scientists. Looting of archaeological sites is a major problem throughout the American Southwest. Fortunately Cliff Palace is now protected by the federal government. Caral is the site of what may be the oldest city in the Western Hemisphere. 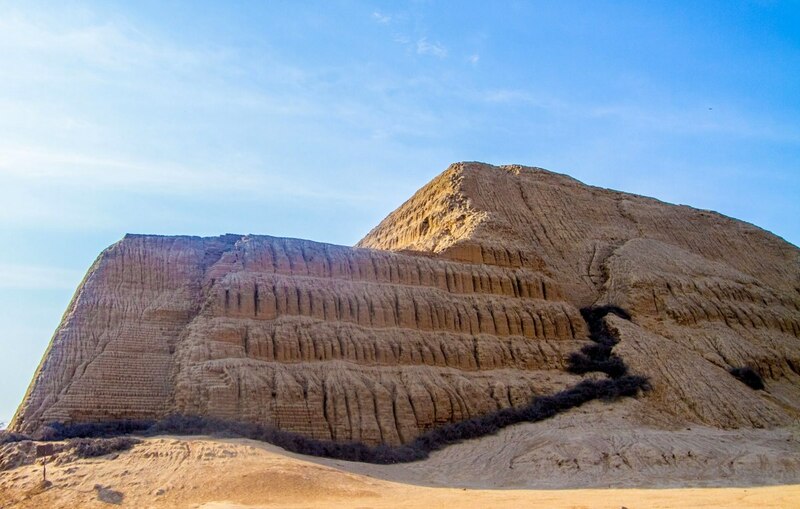 Constructed some 4,700 years ago in what is now the Norte Chico region of Peru, just north of Lima in the Supe Valley, Caral ranks on the short list of regions, along with Egypt, Mesopotamia and the Indus Valley, as the first to develop what most people would call civilization. Covering 165 acres, the site is one of the largest in Peru, a country with the most archaeological sites in South America. 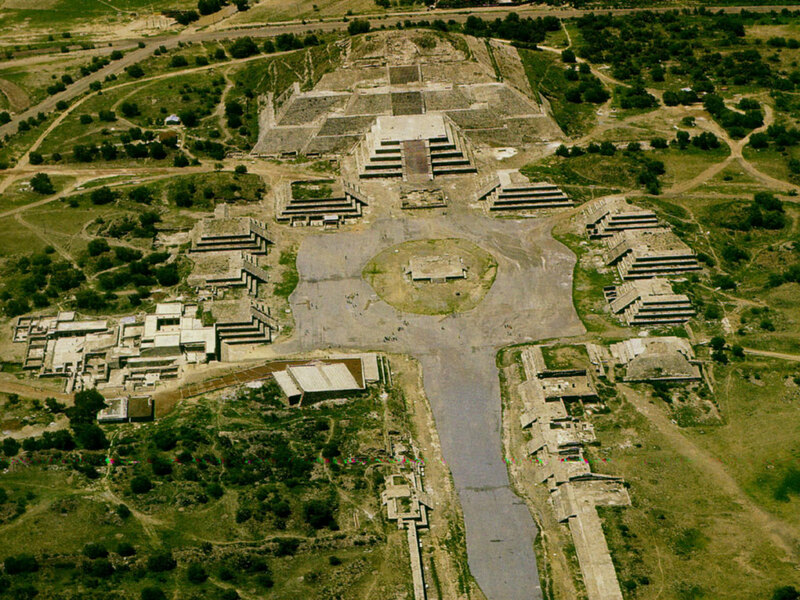 The site contains six pyramids, some originally as high as 70 feet, circular plazas and massive monumental architecture. 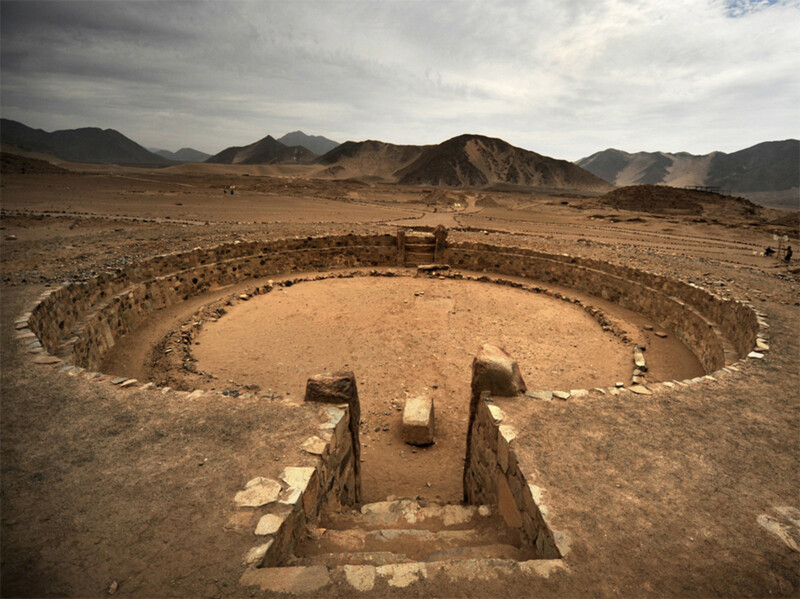 Caral’s architectural style seems the precursor for subsequent Andean civilizations for the next 4,000 years. Numerous artifacts have been found at the site, including flutes made from pelican and condor bones and cornets fashioned from llama and deer bones, suggesting the site may have heard its share of music. Experts think Caral’s population could have reached 3,000. The site was occupied for perhaps a millennium and then abandoned for some reason. Competition from other nearby cities is considered the probable cause. 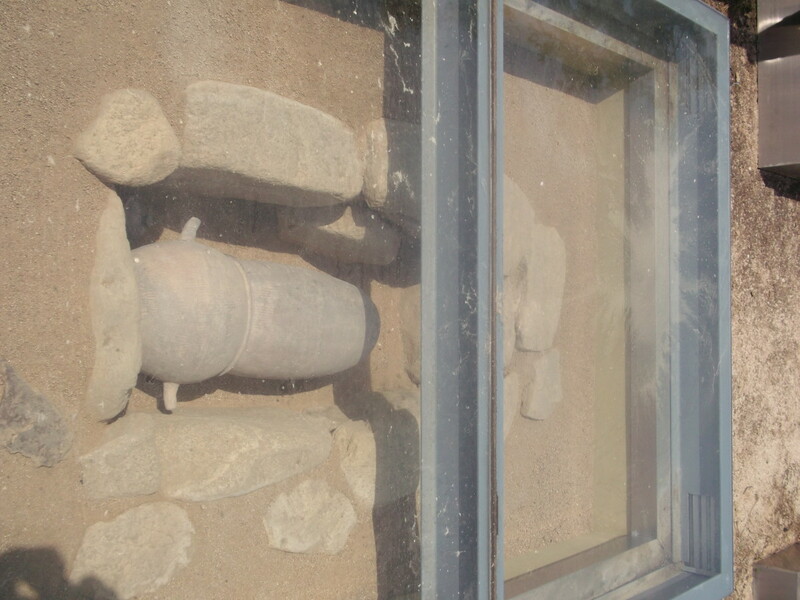 (For more information about Caral, see the July/August 2005 issue of Archaeology magazine.) Please keep in mind, the nearby site of Aspero may be even older than Caral; it fact, it could be the world’s oldest city! 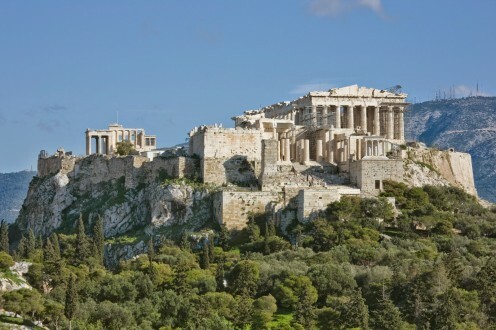 Perhaps the greatest architectural achievement of the legendary Gold Age of Greece, the Acropolis of Athens is a spectacular sight, even in ruins, and its historical significance would be very hard to qualify. 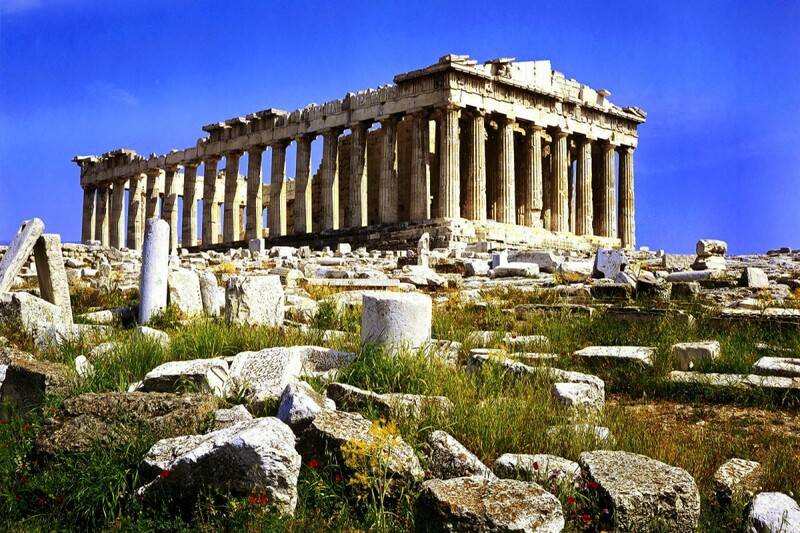 Comprising 21 archaeological attractions - the Parthenon, the Propylaia, the Erechtheum, the Theatre of Dionysus, the Temple of Athena Nike, and many others - the Acropolis was constructed by the direction of Pericles, a Greek statesman, general and lover of the arts. It was built upon an outcropping of rock nearly 500 feet high. The Acropolis, which in Greek means “high city,” underwent a series construction periods, which began in the seventh and sixth centuries B.C.E. and continued until about 400 B.C.E. Over the centuries, the various buildings of the Acropolis have suffered from age, natural disasters, pollution, misguided repairs and acts of war; in fact, in 1687, during the Morean War, the Parthenon, being used as a storage site for gunpowder, was hit by an artillery shell and badly damaged. And during the Greek War of Independence in the 1820s, the Acropolis, by this time used as a fortress, was besieged once again. 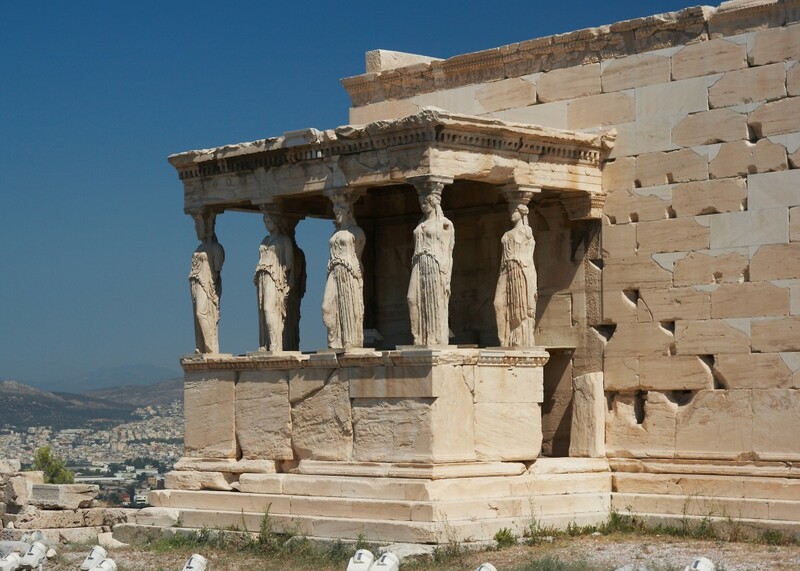 In present times, parts of the Acropolis, particularly the Parthenon, have undergone extensive restoration, which may continue for many years, as long as funding is available, of course. The Maya civilization is certainly one of the most impressive of the New World and, fortunately, the remnants of their buildings are scattered throughout Mesoamerica at places such as Chichén Itzá, Palenque, Tikal, Caracol and, of course, Copán, considered by academics and other experts to be the grandest of the Classic Maya city states, particularly in terms of art and architecture. Mayan presence on the fertile bottomlands near the Copán River in western Honduras began about 2000 B.C.E. But the city state that would eventually become Copán developed much later, around 300 to 450 C.E., roughly around the beginning of the Classic Maya era, which lasted until about 900 C.E. 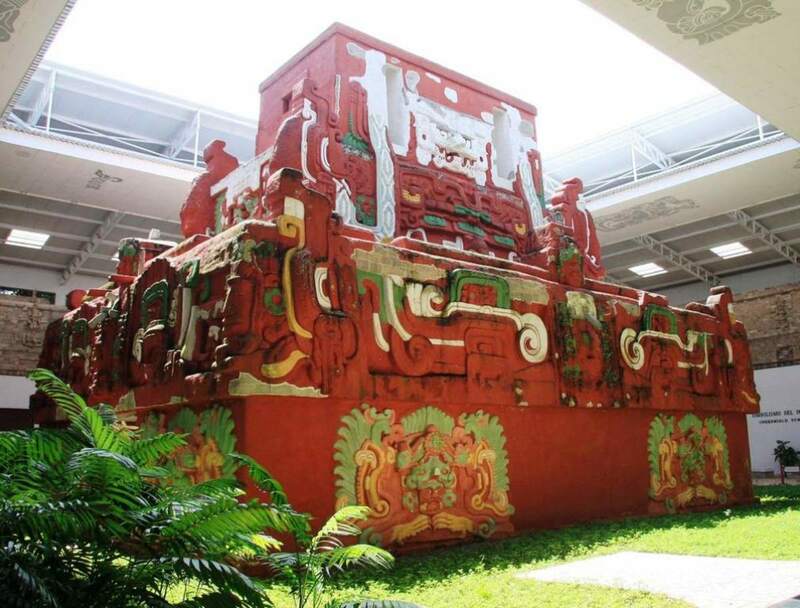 Copán’s Classic dynasty collapsed because of deforestation, soil erosion, disease and/or a loss of political stability, though experts can only speculate about such causes by drawing analogies to other civilizations around the world. 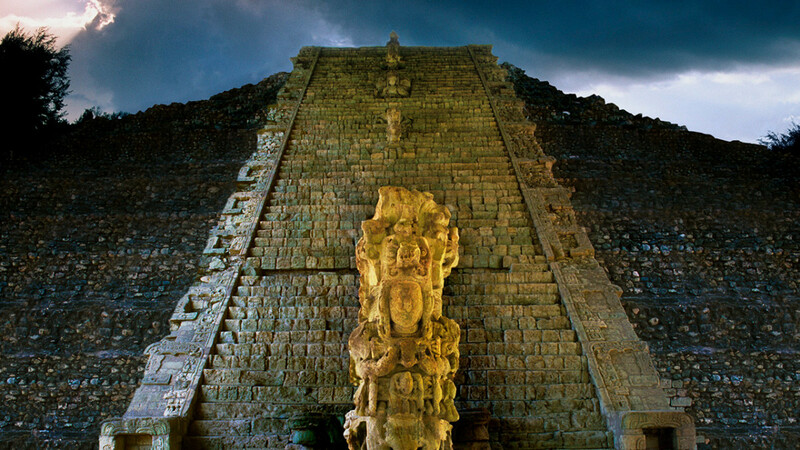 More than 20 Stelae or statues of rulers can be seen at Copán. 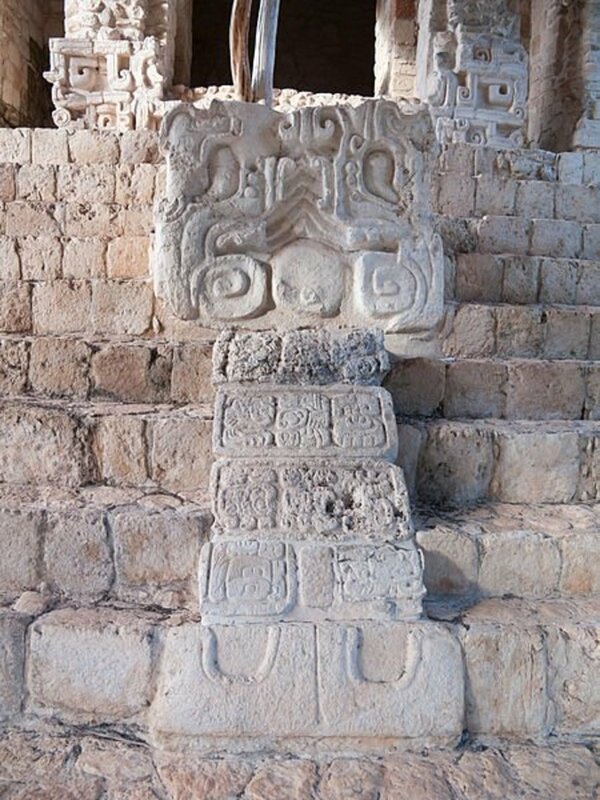 But perhaps the most spectacular aspect of Copán is the fascinating Hieroglyphic Stairway, which covers the western face of a pyramid where the twelfth king of Copán’s greatest dynasty was entombed around 700 C.E. The steps of this imposing stairway are covered with dates, emblems and some 2,200 name glyphs, the latter of which comprising the longest known Mayan hieroglyphic text, as well as statues (seated figures) of Copán’s many prominent kings. There’s nothing quite like it in the Mayan world – and perhaps any other place on the planet as well! Caral is in Peru. You could find the exact location on Google Earth or other places. What is another definition of an archaeological site? A place where people try to find old information left by people. How many of these places on the list of the most impressive archaeological sites can you visit? All of them are accessible to the public. You can either stroll around on your own or go with a tour group. What is another way to say era? An era is simply a period of time. Similar words or synonyms would be age or epoch, such as the age of the dinosaurs. What is another meaning for an archaeological site? An archaeological site is where scientists do research by digging in the ground for artifacts, scanning ruins and taking photographs. Archaeology is a study of human history by examining human remains and artifacts. What is the most important archaeological site? The Pyramids at Giza, as they're still doing much archaeological work. 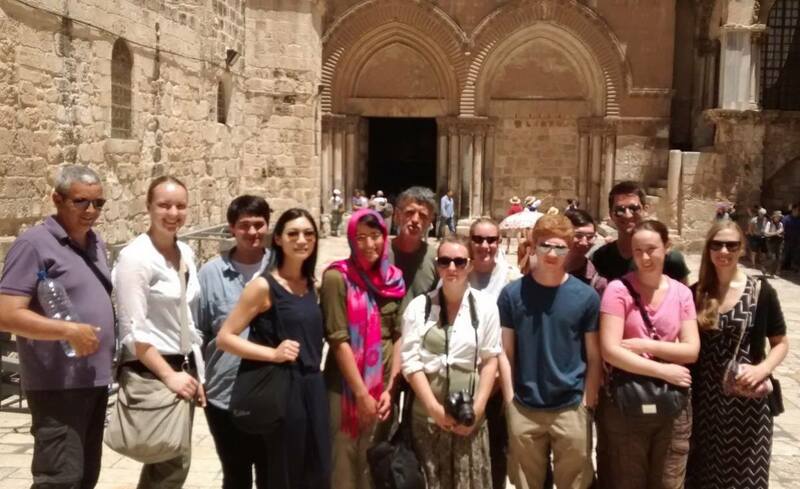 Where is the Petra archaeological site? 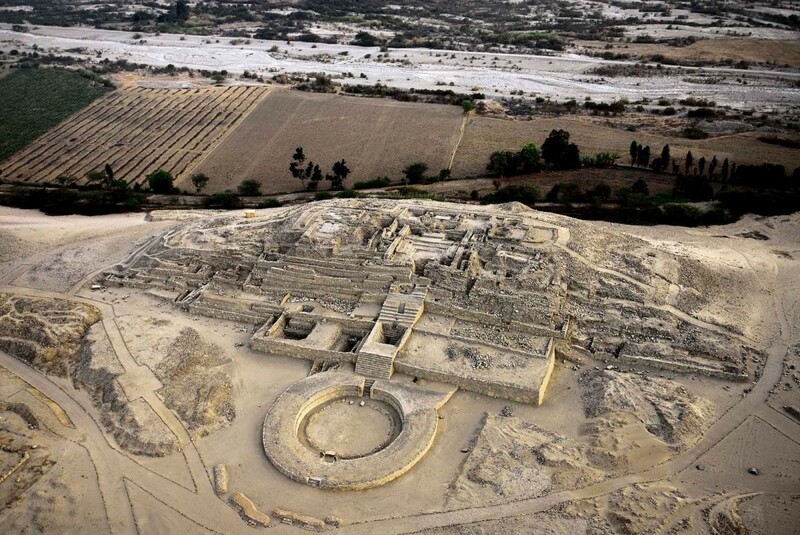 Where is Moche, the Peruvian archaeological site? It's located in the region of Moche, along the Pacific coast of Peru in South America. Thanks for the comment, Gary Glenn Jones. I also like history and archaeology, two of my favorite subjects. Later! I love your article. It is very well written and delves deep into the subjects you have written about. I love archaeology and history in general. Usually Macchu Picchu would be on a list like this. I think Göbekli Tepe in southern Turkey is the most impressive archaeological site in the world. Göbekli Tepe is so old that it is rewriting the entire history of humanity.The construction at Göbekli Tepe dates back almost 12,000 years, placing it in a time period that is generally considered to be pre-civilization. My favorite archeological site is the cliff palace, I wish it was higher on the list. Also scotte spencer, I'm writing a paper too. Hey, Ron, not a lot is known about the Toltecs, but Tula and Teotihuacan were major cities of theirs, it seems safe to suggest. 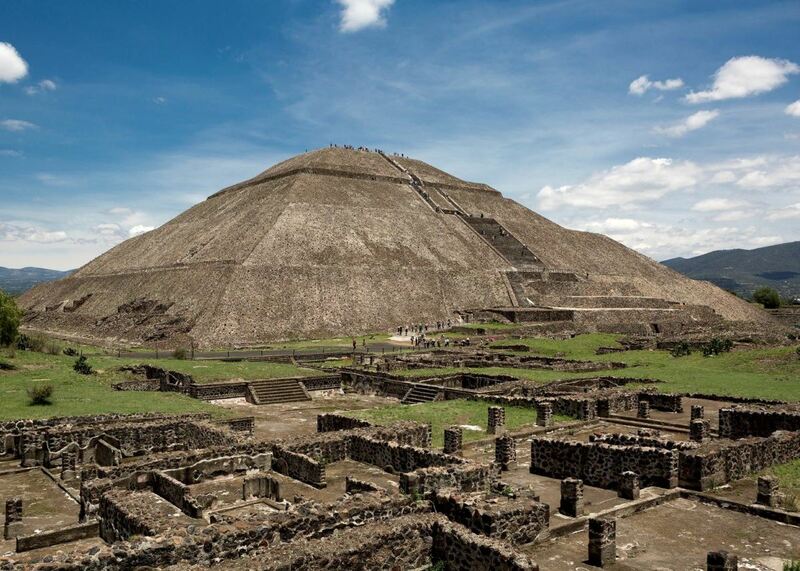 Archaeologists have probably labeled Teotihuacan as the capital because it's such a grand place. Later! Where do you get the idea that Teotihucan was the Toltec Capital? Their capital was Tula. No one knows who the people were who built Teotihucan. If you have newer information I would love to see it, since I just finished a whole series of specials on this city, and they all say no one knows who the builders were . Stonehenge? And not Acropolis(Athens), Pantheon(Rome), Pompeii (Italy), Persepolis(Iran), Delphi (Greece)? OK, I think I know your origin. Yes, yes Greece AND Rome, so much stuff at both places! Yes, India is definitely a fascinating place for archaeology enthusiasts, especially the Indus Valley civilization, though I believe that rests in Pakistan, formerly a part of India, of course. Thanks for the comments. Later! Hey, cascoly, you've visited all those incredible places? I'm impressed! Maybe one of these days I can see at least one of them. Fortunately, there's always the Discovery Channel. Later! Thanks for the thumbs up, toknowinfo. I really enjoy the subject of archaeology and I guess that enthusiasm makes for good writing. Later! Very well done hub. I have been to Stonehenge and to the Mayan ruins. They really leave you wondering about how they did that or knew the stuff they did. I enjoyed this article very much. "it's truly astonishing to realize that Neolithic people (perhaps the Druids) "
Nope, the druids were much later. They were around in the Iron Age. Stonehenge pre-dates them by nearly 2000 years. You have assembled a great list here. Another interesting site would be Easter Island. I think that Petra looks fascinating! El Castillo is one of the greatest ancient monuments in the world. It could be on this list by itself, as can many other individual wonders. Later! Chitchen Itza is amazing. I went for one Spring equinox and have been dying to go back to explore more of the site. There are some impressive things there. I'd love to visit ALL of these places! I've been to a few, but this is fascinating. Thanks for sharing. I have been there,and I can't foget the spectacle. I recommend the book 1000 Places to See Before You Die. It has modern wonders among the ancient in it. I would love to see these sights. They are so beautiful and rich in history and culture. Maybe before I die I can visit them. There is not only the historical value of these places but also the magic around them.Waking up to the view of Machu Picchu, only listening the wild life, you experience one of those &quot;mystical moments&quot; that you cannot explain.